In accordance with all of it's other milestones, Player Unknown's Battleground's was the most streamed game across all major streaming platforms during Q3 this year, according to a study by Steamlabs. Earlier in the year, PUBG also knocked Dota 2 off the top spot for most concurrent players on Steam, which is a feat in itself with Dota being Valve's biggest title. While the game has a singular goal and is completely repetitive, it's become insanely popular among casual and professional gamers alike. The premise is simple, 100 players drop in to a map and then everyone has to survive. The casual format allows viewers to come and go as they please. 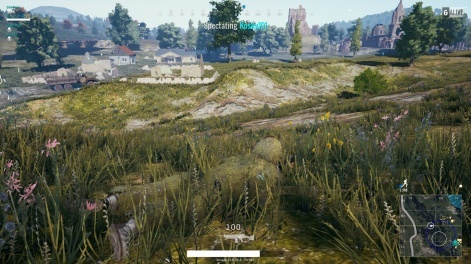 "PUBG is one of those games that can be frustrating, time consuming & even more frustrating still; but when you get that big win or skilful kill, it makes it all worth it." Youtuber and Twitch streamer Caffcast told us. "The unpredictability Of each round, even though it’s the same map over and over again, keeps the game compelling for streamer & viewer alike." Another factor contributing to PUBG's stream-based success is the pacing. While the game itself is intense, there's a good few minutes between each round, which lets hosts chat to their audience. 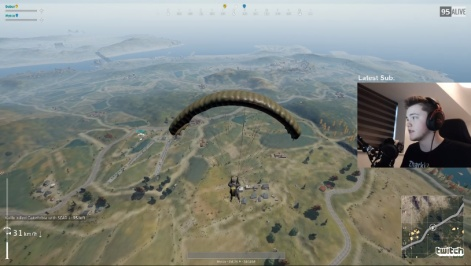 "The pacing of a PUBG game together with the battle royale format is what makes the game so easy to watch and enjoyable to stream." Overwatch Central's Mysca added. Despite Overwatch being his main focus, Mysca regularly streams PUBG on his own Twitch channel. "You have moments of action mixed with downtime that allows you to interact with your viewers throughout the match." PUBG is still on the rise, after recently surpassing 20m sales on Steam, and will also leave early access in December. The game is also set to release on Xbox One on December 12th - which will open the title up to a whole new console-orientated playerbase.